Verizon Wireless - Best Provider? Verizon Wireless has perhaps the most extensive network of any cell phone company in the U.S. They offer consistent and reliable service to their customers. Because of their quality of service and popularity, Verizon is one of the most widely used cell phone service providers. Verizon offers a vast array of voice, texting, and data plans for their customers. You can get an unlimited minutes plan for $69.99 a month—to include unlimited texting as well, the price is only $89.99 a month. You can make these plans family plans as well for an increased price. Two lines with unlimited talk cost $119.99, while each additional line (up to five total) is an extra $49.99. Two lines with unlimited talk and text goes for $149.99. There are also some cheaper, more traditional plans in the event that you do not need unlimited talk or text. The basic starter package for one line costs $39.99. With this you get 450 minutes of talking time per month. There is a fee of $0.45 per minute for each minute that you go over the allocated 450 minutes. As always, with any type of plan that you select, you will have unlimited phone minutes with people already in the Verizon network. Verizon.com offers some of the highest quality smart phones on the market ranging down to the most simplistic of cell phones for someone only using their phone in a traditional manner. Because of their huge selection of phones, you are bound to find one that will match your individual needs. One of the benefits of getting an expensive plan for your cell phone is that some of the top selling models are given to you at a steep discount, or in some cases, free of charge. Verizon offers some cutting edge features with their phones. There are a multitude of entertainment features that you can use at your pleasure such as music downloads, videos, and internet usage. This makes them great for people on the go as your phone can be an all-in-one tool for you for business ends as well. Verizon even offers GPS services with some of their products allowing you to find your way anywhere in the U.S. This includes a family locator—a feature that allows you to see where your family members are at any given time from your phone or computer. A Verizon Promo Code and Coupons are available as well to help you save a bit more. Once you find the right model phone for you, there is almost an infinite number of ways to customize your phone to make it yours. You can add ringtones, games, apps, and wallpapers to make your phone unique. 3G multimedia phones are also quite popular. These phones allow you to watch television and surf the web from your phone. One of these plans costs $34.99 and is a great add on for people who do not plan on using their phones for a lot of conversations, but rather to send text messages and use web features. If you wish to put an end to your contract prior to its expiration, there is a penalty of $150 for doing so. For each month of your contract that you keep payments up to date, this penalty is reduced by $5 per month. For some smart phones, this fee is as high as $350; a definite downfall of Verizon Wireless. With smart phones, the penalty is decreased by $10 per active month during the life of the contract. There is also an activation fee of $35, but this fee is usually waived at the time of purchase, especially when you purchase more than one line. 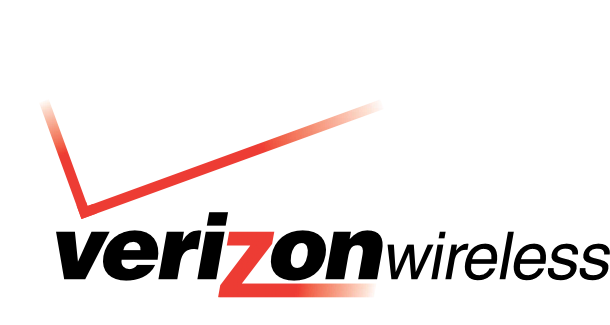 Verizon is one of the largest and best all-around phone companies available within the U.S. They offer a huge array of phones and plans allowing you to find something that will fit your needs and surpass your expectations. A Verizon Promo Code and a cheap cell phone service provider with a nice touch of all the necessities.